EXCLUSIVE! 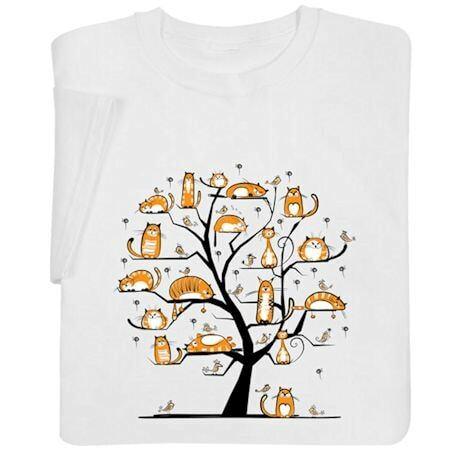 With cats on every branch – curious, shy, sleeping, standing, plump, and thin – this shirt is sure to please any cat person. 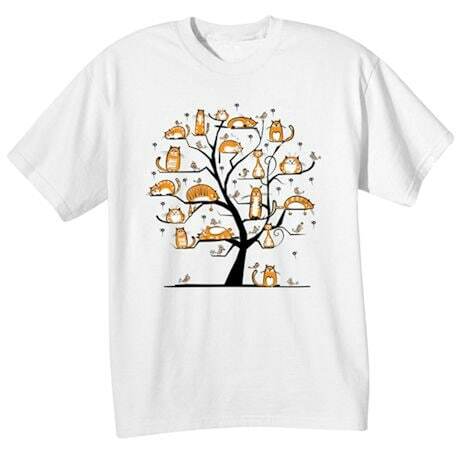 White sweatshirt is 50/50 cotton blend, T-shirt is preshrunk 100% cotton. Sizes S-3XL. Imported.